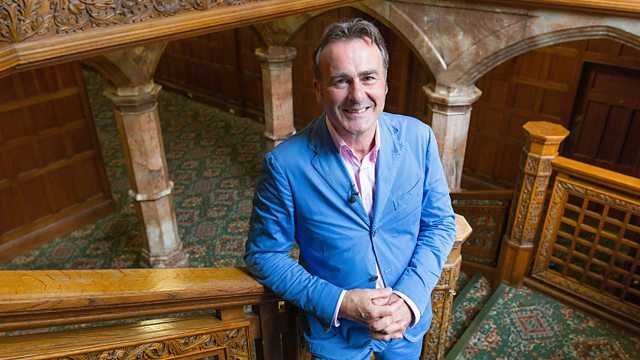 Hertfordshire ‹ Series 12 Reversions ‹ Flog It! Members of the public try to make money out of their antiques. After valuation at Ashridge House, a splendid microscope is among the items that go to auction. Browse content similar to Hertfordshire. Check below for episodes and series from the same categories and more! for his pioneering work on the UK's inland waterways. Now, they say from up here you can actually see seven counties at once. I'm not sure about that today. which was the Canal Duke's home during the 18th century. And today, for one day only, it's home to our valuation tables. Ashridge House is a real seat of innovation and change. a royal residence and a war hospital. And it's not just the Canal Duke who achieve great feats here. Edward I held parliament here in 1291.
so the fun can begin. a great deal of money. It's our experts' job to find it. happy with the valuations, what are you going to do? and roaming roving Claire Rawle. Now let's catch up with Claire who's made a scientific discovery. mahogany box here, haven't you? Yes. When it opens out - hey, presto. with a huge collection of objectives. So, quite a superior item. Nicely made. they can be a bit tricky to sell. Yes. So sometimes the value isn't huge. to go with it. Botanical subjects, mainly, aren't they? Yes. They've got all their little cards and things there. Quite an unusual object. You've lugged this quite a long way. It's very heavy. Tell me a bit about it. Where did it come from? in it and he'd look after it. Yeah. and he's had many, many years of happiness on it. So he used it? Yeah, he did use it. Oh, right. Yes, he used to go past puddles, do a few puddles. Yeah? Pick a little jar up... Take it home and look at it? and look through it, and say to me, "Come and have a look at this,"
what to do with them. So the fact that it was used. on what's going on in a puddle, doesn't it, really? Oh, yes. so obviously he was using a collectable item then, really. Yes. It already had age when he bought it. Yes, a very elderly gentleman who had it. I mean, this is quite a specialised instrument. Yes. a whole range of things. because there are really keen collectors purely for the slides. so it's a sort of historical interest. Yes. So, I guess we have to talk money. I think an estimate of 3-500. Yes. Nice broad estimate there. Yeah. Does that sound good to you? I'm quite happy, yes. Would you be happy with a ?300 reserve on that? Yes. Happy with that? Yeah. Sure? Just about. Well, the thing is not to overcook it. No. Keep it sensible. Make sure it's a price you're happy with. Yes. and they get really excited and they spend a lot of money on it. Good. So, what are you going to put it towards? Central heating. Central heating? Yes, it's packed up. Oh, no! So you really want to get on with that. Yeah. Yes, yeah. Well, I shall look forward to seeing you at the auction. Thank you. And we shall do our very best to get you a radiator or two fixed. Yes, that's what it'll buy. That was a well-preserved example of 19th century science. so we can get Florence's heating fixed. would have no relationship to these ones here. These would be in far more modest accommodation. However, there's an interesting relation between the two. Demolishing the fireplace that they were inserted inside. And where was that? Two fireplaces. In the last house I had. Oh, really? Built about 1860. Yeah. These would be 1860s, 1870s, absolutely. it has 19th century additions to it. These hark back to that medieval period. They hark back to that romantic time. are by a person by John Moyr Smith. of the past and design scenes around them. And here we have the seasons. and this is a representation of a poem from the 18th century. but Celadon got swept away in a storm, hence the lightning. But that's rather fun, isn't it? And then we've got autumn - Comes Jovial On. here, and he's sort of reaping the rewards of his harvest. and almost like a Tam o'Shanter hat. Yes, and the ginger hair. The Snow Storm. I think that's a rather attractive one. to drag that plough down. You don't just hold it one hand and the oxen in the other. they had this romantic view of things. And here's one typically romantic. Well, luckily for you there are tile collectors out there. So, I would value them at 120... Yes. ..to ?180. Yes. I'd put a reserve at ?100. Yeah. I don't think there's any point giving them away. Oh, no. No. I'd rather keep them and use them. Too nice to leave in the cupboard. Absolutely. Well, see you at the auction. OK. Thanks a lot. and like all auction houses sellers have to pay commission. Here it's 15% plus VAT on the hammer price. Introducing Kenneth, a man for all seasons. That's exactly what's going under the hammer right now. Four Minton tiles, the four seasons. Quality, quality, quality. Great ceramics. Why are you selling these? They've just been lying in my cupboard for over 20 years. I never found a use for them. I mean, they make good kettle stands and things like that. Good coasters and... A coaster on the dining table. We've seen these sets before sell on "Flog It!" and we've seen them separately as well. Thank goodness you've got all four. They sell well and they make great coasters. great Arts and Crafts designer. So if you love Arts and Crafts, you'll love these. They're going under the hammer right now. Number four - 104, now. We have some Art Nouveau Minton's pottery tiles. They're in jolly good order. Yeah, I love these. 80 for them? 70 for them? 70. Five. 80. Five. 90. Are you going to be the five? Come on, that's a good opener. Lady over there. There you go. At 150, then, they're going. ?150. Thank you. made sure she had them, didn't put her paddle down and walked out. Literally, did you see that? Just here for the tiles. If someone pushed her she'd've kept going. She was that determined and that's the beauty of auctions. That's a good result. Yes. That's a very good result. and I think there will be a real enthusiasm for this. so fingers crossed for a botanic bidding battle. Good luck, Florence. Thank you. "Oh, I like that, I like that," and I know you spotted it as well. Yeah. that go with this are so well documented. the auctioneer, yesterday. He's happy with the valuation. but he's upped it a little bit. Oh, right, excellent. So we're now looking at ?500-?700. Yeah, it's a nice lot. The slides are so decorative, apart from anything else. so it even surprised me after 20 years. Let's find out if there's any interest online or on the phones. Right, now lot number 106.
and also the two boxes of prepared slides with it. 500 I'm bid for it now. 520, I have it. And 50, 80, 600. And 20 and 50 and 80. 700 we're bid. 720 and 50 and 80. 800 we're bid. 820, 850, 880. This is very good. ?900. ?900. At ?900 and we're bid for it. 920, 950. And there's more to come. ?1,050. ?1,100 we're bid. And 50. 1,200. And 50. 1,300. And 50. 1,400. And 50. 1,500. And 50. This is what it's all about. This is a proper auction. I'm going to get you a chair in a minute. No, but 1,800 in the room. And 50. 2,000. And 50. Yeah, it was, wasn't it? 2,500, sir. 2,500. And 50 now. At 2,500 I'm selling. 550. I can't believe it. Gosh. At 3,600 in the room. I'm selling, then. It's going down at ?3,600. That's a sold sound, isn't it? Everybody is giving you a round of applause in the auction room. It exceeded all our expectations. It did, it really did. That is a great result. Oh, look, enjoy it, won't you? Well done, Claire. And thank you, Claire. Oh, thank you. It's been an absolute pleasure. I'm so pleased for you. which sold for over six times its reserve price. Let's see what they had to say about the final outcome. I feel I've paid a lot of money for them, but that's auctions for you. but I was obviously prepared to pay that amount. and probably bid more than I intended to. he was fairly determined and was going to carry on bidding. They're a good collection of quality microscope slides. Unusual to have such a good collection all in one go. and trade a few of them, as well. What a wonderful way to end the show. and I know you have, haven't you? We've made your year, haven't we? join us for many more surprises. Well done, you, Florence. Members of the public are invited to try to make money out of their antiques by taking a risk at auction. Presented by Paul Martin. Valuations take place at Ashridge House, where experts Thomas Plant and Claire Rawle are on hand to give advice. Among the items that go to auction is a splendid microscope.